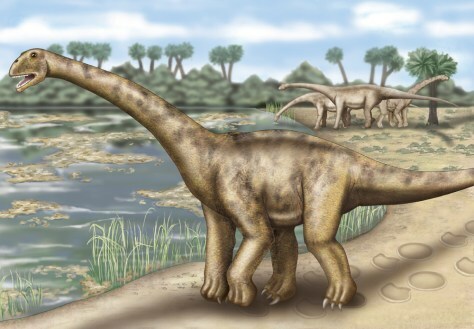 An artist's conception shows what one of the largest vegetarian dinosaurs, Turiasaurus riodevensis, might have looked like 150 million years ago in what is now Spain. The creature is thought to have weighed more than 40 tons. By comparison, Tyrannosaurus rex weighed about 6 tons.